Peskov cautioned journalists to be "careful with different hoaxes" when asked for a response to the plane rumors. In what sounded like a slight against the US, Peskov said Russia was committed to helping resolve the "political situation" in Venezuela without interfering in the country's business. Russian Foreign Minister Sergei Lavrov has said Moscow will do "anything" to support Maduro. Though it's worth noting that reports claim Russia is nervous about protecting the money it has invested in Venezuela, which has been used to help prop up the Maduro regime. And with the country owing billions of dollars to Russia and China (not to mention the Venezuela's long-suffering bondholders), the story's implication is clear: was this collateral paid to Russian President Vladimir Putin? 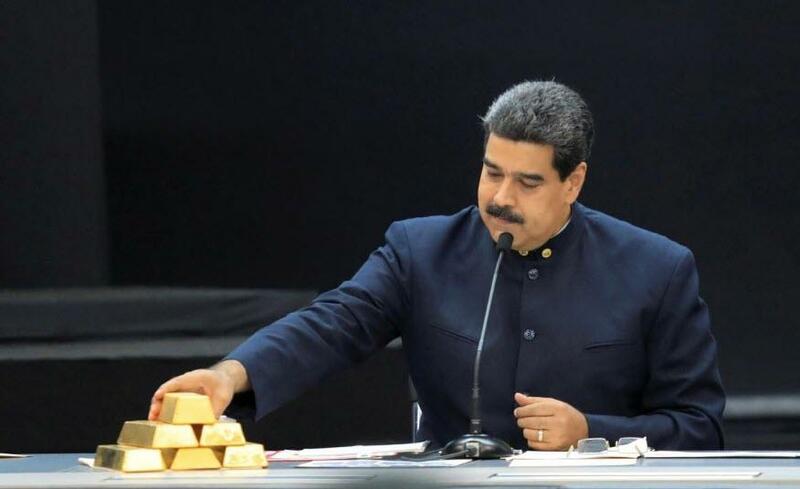 The US announced sanctions against the Maduro regime earlier this week, including restrictions on buying the country's oil, to try and starve his regime of money, while opening access to Venezuelan assets frozen in the US to Guaido to try and help him cement his control of the country. By Wednesday morning, the regime was feeling pressure to capitulate and begin negotiations, with Maduro reportedly saying he'd be "open to talks" with the opposition, though, as the New York Times noted, " it is "not clear if the comments were a genuine offer for negotiations with the opposition or a bid to buy time for his embattled government." Maduro listed several potential mediators for the talks, including Mexico, Uruguay, Bolivia, Russia, the Vatican and other European governments that had encouraged a dialogue. The purported capitulation comes after Maduro had threatened to use the country's Supreme Court to impose a travel ban on Guaido in what appeared to be an attempt to intimidate him. President Trump welcomed Maduro's announcement, while reiterating a warning to US citizens not to travel to Venezuela. Still, he has rejected international calls for new elections, which could soon lead to several Western European nations joining the ranks of countries recognizing Guaido as the country's legitimate ruler.